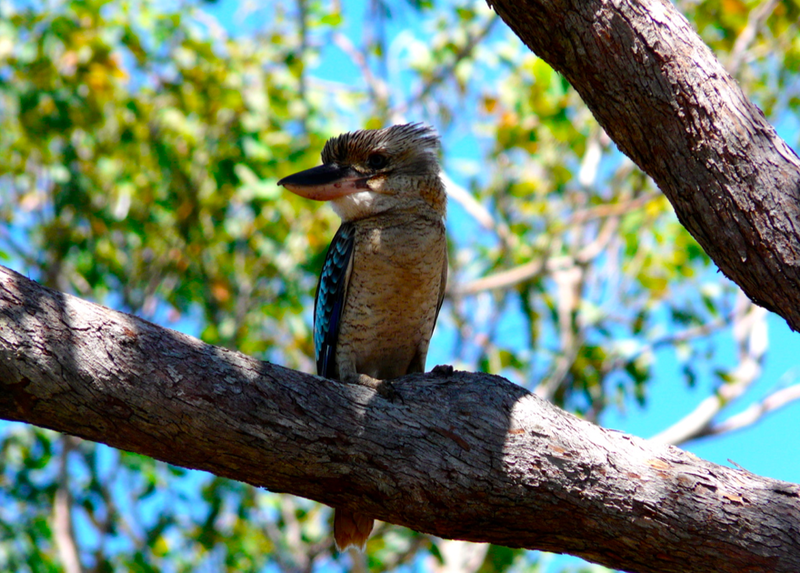 The Blue-Winged Kookaburra, which is what this fellow is, is particularly stunning. The more common brown ones that we see along the East coast are not quite so spectacular looking but they are still pretty cool. Love Kookaburra's! Great shot Keren! I stopped just the other day to watch and listen to a couple having a good old laugh at the coming rain ... they really are amazing. The song is in my head now! :) He was pretty stunning. Naw, this little fella is so adorable. I wish we could have caught him hunting on camera as well ... so stunning!